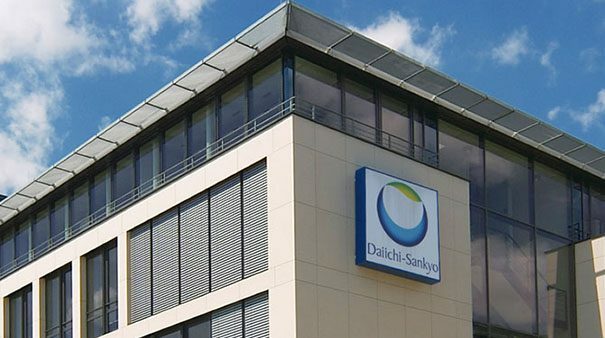 Daiichi Sankyo’s Lixiana was a late entrant to the novel oral anticoagulant (NOAC) category, but the Japanese drugmaker hopes new data in atrial fibrillation (AFib) could accelerate its growth. The ELIMINATE-AF trial compared uninterrupted treatment with Factor Xa inhibitor Lixiana (edoxaban) to standard vitamin K antagonist (VKA) therapy in patients with AFib undergoing catheter ablation – a minimally invasive treatment for abnormal heart rhythms. The procedure is effective and widely used but is associated with a significant risk of clotting during and after the procedure, so patients receive systemic anticoagulation to prevent side effects. The main endpoint in the study was the time to first all-cause death, stroke, or major bleeding, and that outcome was seen in 0.3% of the Lixiana-treated group and 2.0% of patients on VKAs, a group which includes warfarin. The investigators concluded that there was no significant difference between the groups when it came to efficacy, while the safety assessment also supported the use of the NOAC with major bleeds seen in 2.5% of the Lixiana group and 1.5% of those on VKAs. Lixiana – sold as Savaysa in the US – was the fourth NOAC to reach the market in 2011 and is still a critical product for Daiichi Sankyo as it copes with the loss of patent protection for some big selling brands including Benicar (olmesartan). It is now comfortably the Japanese company’s fastest-growing product with sales in the first nine months of fiscal 2018 rising almost 15% to 49 billion yen (around $440 million), although group sales overall slipped more than 5%, with growth in Europe offset by declines in the US and Japan. ELIMINATE-AF is just one of a series of studies Daiichi Sankyo is running to try to catch up with other NOAs such as rival Factor Xa inhibitors Eliquis (apixaban) from Pfizer/Bristol-Myers Squibb and Xarelto (rivaroxaban) from Bayer/Johnson & Johnson, as well as Boehringer Ingelheim’s thrombin inhibitor Pradaxa (dabigatran). Xarelto, Eliquis and Pradaxa have already been shown to be as safe and effective as VKAs in catheter ablation for AFib. Xarelto was first put through its paces in a subgroup of the ROCKET-AF trial, with its role confirmed by the VENTURE-AF trial published in 2015, while the AXAFA-AFNET 5 trial backed Eliquis in this setting last year, and Pradaxa showed its worth in the RE-CIRCUIT study in 2017. According to Zion Market Research, the global anticoagulants market was worth around $26.1 billion last year and is expected to grow at almost 8% per year to reach $43.6 billion by 2025, outstripping the overall pharma market. Aside from the growing incidence of cardiovascular disease and particularly venous thromboembolism (VTE) with an aging global population, the market is expanding as NOACs continue to displace older anticoagulants such as warfarin and heparins thanks to ease of use, better safety and reduced monitoring requirements. AFib is the biggest therapeutic category in the anticoagulant market, even though it is chronically under-diagnosed. “These results are the first of a broad set of data to be presented in 2019 supporting the use of edoxaban in specific clinical situations and the real-world setting,” commented Hans Lanz, head of global medical affairs for edoxaban at Daiichi Sankyo Europe in Germany. All told, the company is running around 10 major trials of edoxaban in AFib, and venous thromboembolism (VTE), involving more than 100,000 patients.